Golf cart batteries provide the energy and power to keep an electric golf cart going. These deep cycle batteries work differently than most other batteries and require regular maintenance and smart battery charging. Batteries for an electric golf car are different from and serve a different purpose than a car battery. The batteries for your electric golf cart must provide all of the energy that is needed to move the cart. So as they are used the batteries discharge or in other words their capacity is reduced - therefore you must recharge them after every use. A golf cart battery is called a deep cycle battery. A deep cycle battery can be deeply discharged and charged many times during its service life. They also provide a steady current over a long period of time, instead of brief bursts of high current over a short time period like a car battery. They have much thicker plates than automotive batteries. Unlike a car that only needs one battery, a golf car requires battery packs. They come in 6 volt, 8 or 12 volt batteries. 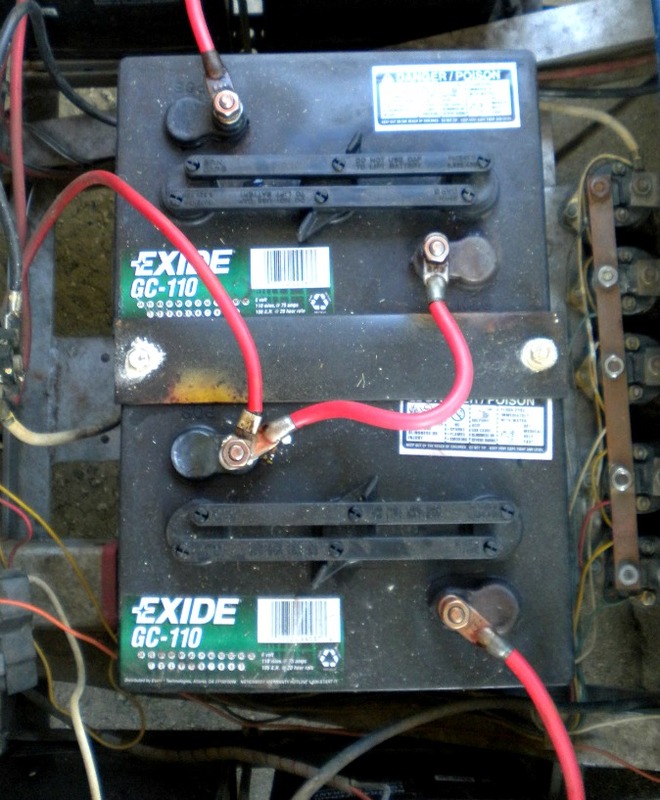 Combine the total voltage from each battery to make up the total golf cart voltage. As an example, a 36-volt golf cart would have six 6-volt batteries. A 48-volt golf cart would have either eight 6-volt batteries or six 8-volt batteries. The higher the voltage the greater the power and the longer the service time. How long will your golf car batteries last? It depends on how it is used, how well it is maintained and charged, temperature, and other factors. They typically are good for 2-7 years. Golf car battery terms are usually in reference to the size of battery (commonly called GC-2, or T-105), not the type or construction. The quality and construction of a these batteries can vary considerably - ranging from cheap off brands with thin plates to the true deep cycle brands, such as Crown, Deka, Trojan, etc. This may be one of those cases where you get what you pay for. Electric golf cart batteries provide the energy and power to keep a golf cart going. These batteries are different from and serve a different purpose than a car battery. A golf cart battery is called a deep cycle battery. A deep cycle battery can be deeply discharged and charged many times during its service life. 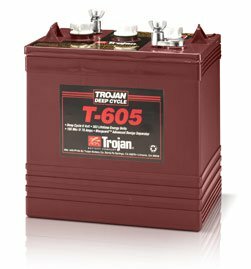 Many golf courses use the Trojan batteries in their fleet. They have been around since 1952. This company offers a durable, reliable and well respected battery in the industry. Trojan also offers technical support provided by full-time engineers. 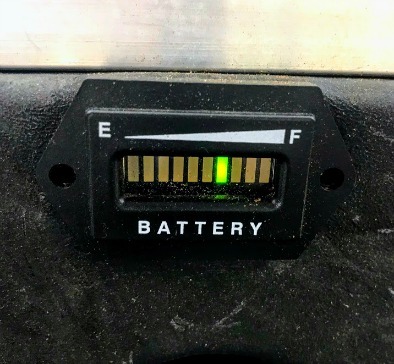 According to Don Wallace of US Battery, with the introduction of their new XC2 product he states that, "This new formulation has been designed to provide the highest performance possible with the greatest recharge acceptance. What this means to the end user is higher output, longer life and higher levels of efficiency when recharging." US Battery has been in the battery business since 1926, specializing in the design of deep cycle batteries. 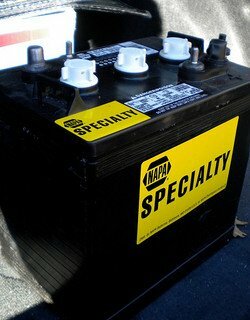 US Battery - Best Deep Cycle Battery? We have Exide golf car batteries in our newly refurbished golf cart. One of the features I like is that it offers a quick-release 3-gang vent which allows me to check water in all the cells of one battery at the same time. Exide offers deep cycle 6 volt and 8 volt batteries. This make is one of the most frequently used batteries that are put into new and refurbished golf carts. 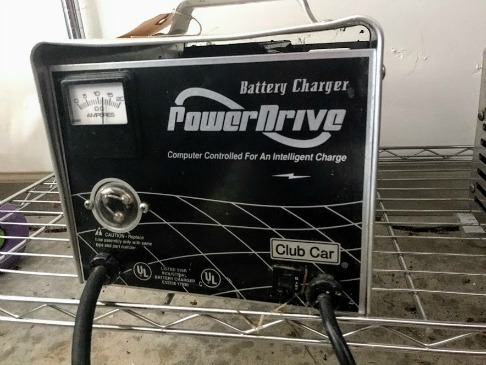 My 1987 Club Car golfcart uses 6V golf car batteries. It has a battery pack of 6. This means that the combined voltage from each of the 6 batteries makes up the total golf cart voltage. This gives me a total golf cart voltage of 36. 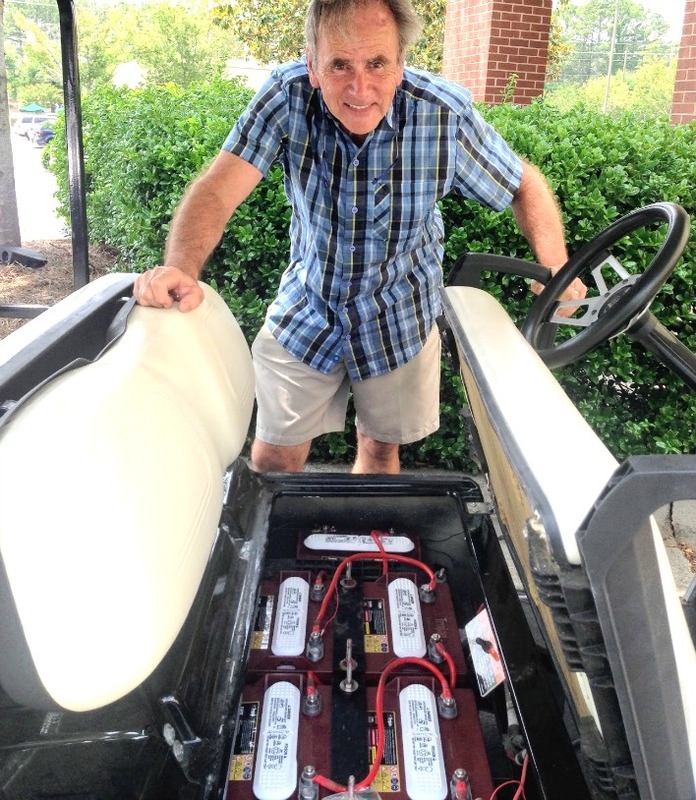 Electric golf carts are powered by six lead-acid batteries that sit mounted on a metal rack under the seat. They are either 6 volt or 8 volt batteries. 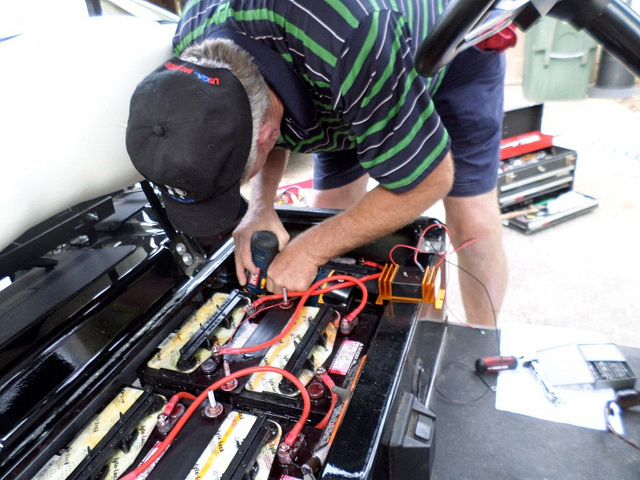 It is important to check your golf cart manual to see which size battery is recommended. 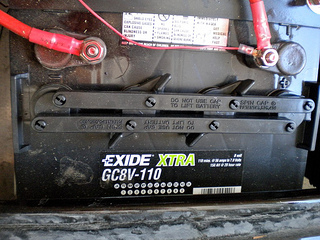 The most common manufacturers of 8 volt golf car batteries are Exide, Trojan and Interstate. When it's time to replace your old batteries you may be tempted to get discounted ones to save some money. I know, I was and I did ... buy them that is. Got a set of 6 six volt deep cycle batteries from Napa for a $100 less than a set of Exide or Trojan batteries. Discount batteries can be found at places like Sam's Club, Costco, or Nappa. 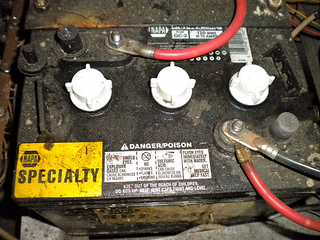 Golf Cart battery chargers may eventually need to be repaired or replaced. 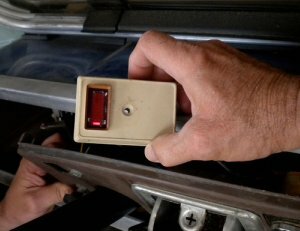 First one needs to determine if the problem is the charger or the batteries if your lead acid batteries are not charging. Newer chargers use a solid state circuit board - which means it has to detect a certain amount of voltage from the battery pack to start charging. Golf cart lithium batteries are a new golf cart battery alternative that requires little maintenance and will provide more years of service than traditional deep cycle batteries. Read our e-interview with John from Lithium Batteries to find out about whether you should replace your old lead acid batteries with this new technology. 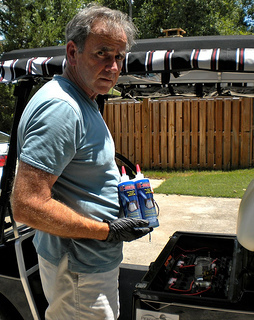 Are you thinking about replacing your golf cart battery set with used golf car batteries? Ideally, when it comes time to replace your batteries, the entire set should be replaced with new batteries. But if you are thinking about used ones, it is possible - but there are some things you want to know before you decide to do this. The biggest investment in an electric golf cart are the batteries. 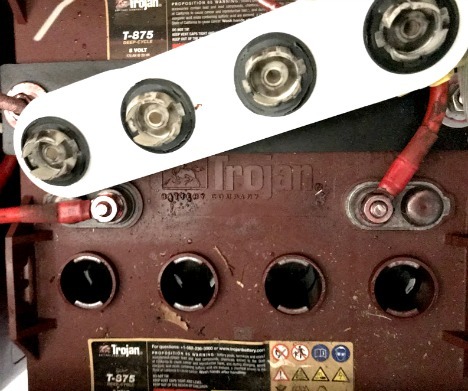 These deep cycle or lead acid batteries are unlike other rechargeable batteries, so learn how to correctly charge them. 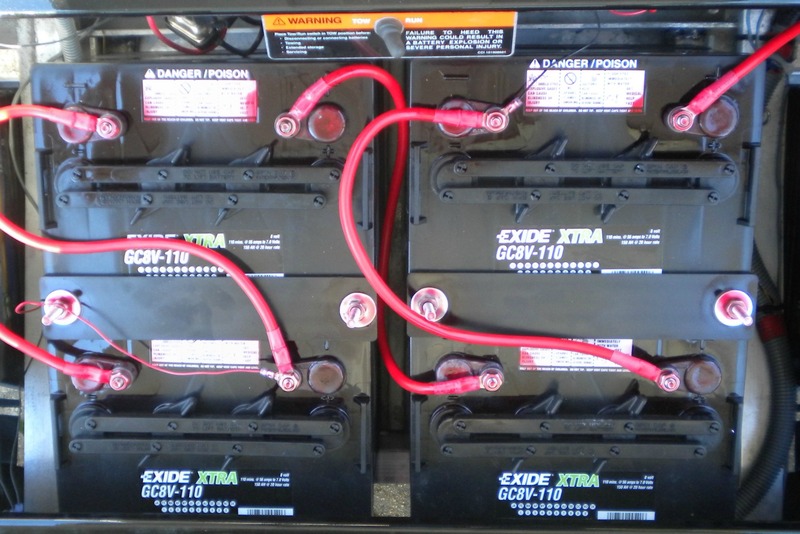 Charging deep cycle batteries correctly and practicing regular Lead Acid Battery Maintenance can improve the longevity and lifespan of your investment. I've been surprised when I have come across golf carts that have no battery charger meter or indicator. It's like taking off in a car that has no fuel gauge. Some of these carts end up off the side of the golf cart path because the batteries were totally discharged but there was no way for the driver to know it. When your batteries are 90% discharged you will see flashing red and yellow lights warning the driver that there is very little charge left. This inexpensive golf cart part sometimes needs to be replaced or updated. These charge indicators are specific to whether you have a 36v or 48 volt system. 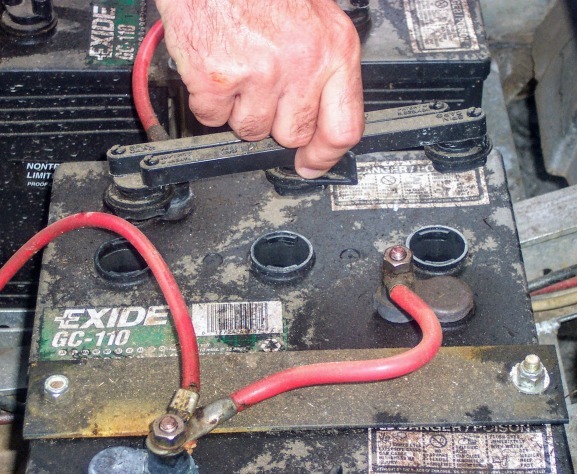 Battery additives can reduce corrosion which means your batteries will charge up quicker. A quicker charge means less internal heat which protects the paste on the plates. It also reduces the frequency or need for watering which means it will take longer for the water levels to get low. Battery Life Saver explains how lead acid batteries work and how we can get more years of use from these batteries through proper maintenance, correct charging and by installing an inexpensive device that reduces sulfation. Having owned and used many golf carts for almost 20 years, I've experienced just about every golf cart "failure." One of them being "my golf cart won't charge." The first time it happened I assumed it was the charger and took it in to a local golf cart dealer who tested it - it did need a new cord because of wear and tear - but it wasn't the charger.